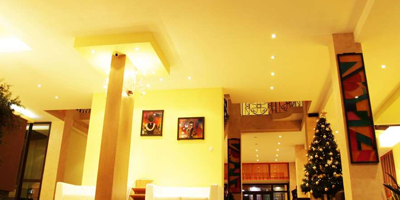 A Modern 3 Star Hotel Apartment in Addis Ababa, Ethiopia, With a Flavor of the Ethiopian Hospitality. The Reliance Hotel Apartment is one of the most flexible and reliable Hotel Apartment as it offers convenient hotel apartments as long as you would like. 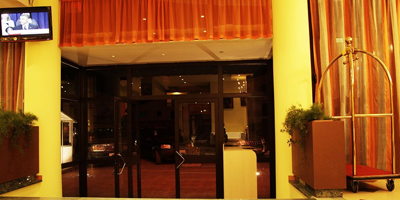 Whether you are in Addis for business or pleasure, stay at Reliance Hotel Apartment and make the most of the ideal location, barely 5 minutes from the international airport situated on the elegant bole road beside the millennium Hall just a few walks away from major shopping malls and business establishment and access to all the major attractions in the city whilst still providing the tranquility of home. Reliance hotel apartment features 31 elegant rooms on its 6th floors; each room has been carefully designed to provide a homely and comfortable environment. The most prestigious of which are the presidential, classic, superior and corner suits which are open out to terraces and carefully designed to meet all travelers need. Satellite TV channels are provided for your entertainment, while complementary wireless internet access keeps you connected. Our well trained team members are always on hand to attend to your every service need, they are pleased to advise and assist you to ensure an enjoyable and memorable visit. 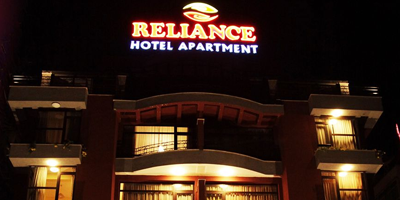 The friendly team members at Reliance Hotel Apartment will assist you in creating a complete and unique vacation experience or business trip by providing recommendations, information on hotel amenities and assistance with reservations.